A 2013 review of the literature came to the conclusion that cranberry was not associated with the prevention of urinary tract infections. However, it also points at the flaws in design of several studies and a lack of standardized extracts . After reading through lots of studies myself I came to the conclusion that there is good evidence for the use of cranberry to prevent UTIs, but that success is highly dependent on the quality and form of cranberry used. What is the action of cranberry on urinary tract infections? For years it was thought that cranberry juice prevents infections by acidifying the urine. This idea has since been dismissed due to lack of scientific proof. More recent studies suggest that certain plant flavonoids (plant chemicals) called proanthocyanidins (PACs) found in cranberries can help to prevent bacteria from sticking to the bladder and urethral lining, which can help to prevent the growth of the bacteria and also increases the removal of bacteria through urine. This action seems to be mainly true for E.coli – the primary (but not the only) bacteria responsible for urinary tract infections. Cranberries may also have antibacterial properties but it is not known whether the amounts normally used for UTIs would have a significant antibacterial effect . 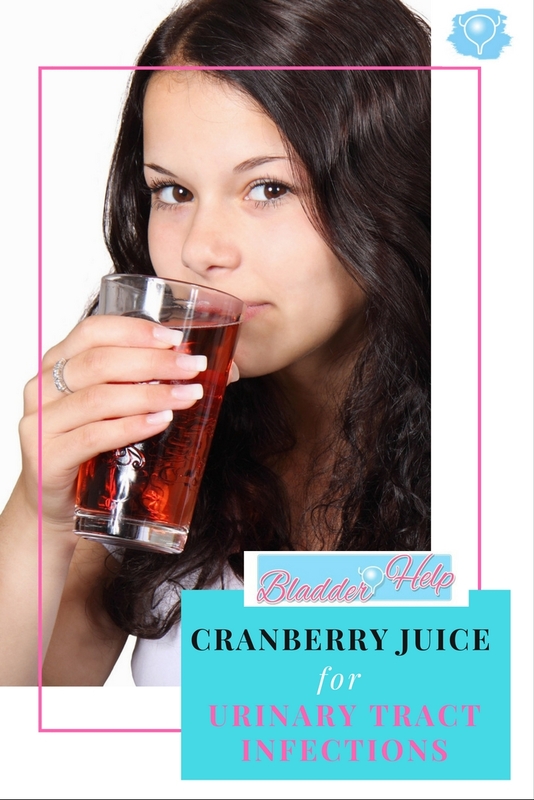 In The Patient’s Encyclopedia of Cystitis Angela Martin remarks that cranberry juice is a ‘publicity gimmick’ and that it is ‘costly and can cause bladder thrush/candida from fruit sugars’ . Although she does not back these claims up with research, there is certainly truth to them. Natural cranberries are very tart and therefore most commercially available cranberries or cranberry juices are sweetened. Bacteria thrive on sugar. These juices typically also only contain around 27% of actual cranberry juice. Therefore it is questionable how much of the active therapeutic compounds (PACs) would actually be present in the juice. Commercial low calorie cranberry juices on the other hand usually contain the artificial sweetener sucralose, which has been shown to disrupt beneficial bacteria in the gut. Long-term an adverse effect on the gut flora can allow more pathogens to enter the bladder. There has been a few studies showing that the consumption of cranberry juice indeed protected against the recurrence of UTIs. However, all these studies were at least partly funded by Ocean Spray – the world’s biggest manufacturer of cranberry juice [4, 5, 6, 7]. Other independent studies using the same drink showed no such positive outcome [8, 9]. However, some studies did show a beneficial effect when pure and unsweetened cranberry juice was used [10, 11, 12]. Wherever cranberry juice was beneficial, the effects were not due to the increased liquid intake (the placebo control group consumed the same amount of liquid). It is the PAC compounds in cranberry that have the therapeutic effect. But the amount of PACs in cranberry juice can vary considerably. Therefore we can’t really know what we’re getting. The evidence suggests that cranberry juice has been over-rated as a therapeutic agent for UTIs and that quality is crucial. If you’re considering cranberry juice for UTI prevention look for a pure, unsweetened (and ideally organic) juice. To achieve a therapeutic effect the dosage would have to be around 8 oz, three times daily. Since it seems to be the PACs in cranberries that can prevent the adhesion of E. coli on the bladder wall we need to make sure that we get a good amount of PACs when consuming cranberry products for UTI prevention. The most beneficial effects were reported in studies that have used concentrated cranberry extracts with a high content of PACs. The more PACs the better. The anti-adhesion effect seems to last for about half a day. Therefore, regular consumption would be needed for continuous protection. A high-strength cranberry extract supplement may be our best bet for obtaining the beneficial effects of cranberries for UTI prevention. Look for cranberry tablets/capsules that contain at least 300-400 mg cranberry extract. These should contain around 72 mg of PACs in a daily dosage. Cranberry extract might also be more cost-effective than juice. It is also important to remember that the inhibitory effect of cranberry seems to be fairly exclusive to E. coli bacteria. If it is a different strain of bacteria that is causing your infections you’re probably wasting your money! NB. I am not a doctor. This post is for information only and does not constitute medical advice. Always consult your doctor before taking any supplements. Now I’d like to hear from you. What is your experience with cranberry products for UTIs? Has it helped you?